Windows Hive Update Windows 10 Mobile MICROSOFT ROLLS OUT WINDOWS 10 MOBILE UPDATE TO EXISTING WINDOWS PHONE 8.1 DEVICES. MICROSOFT ROLLS OUT WINDOWS 10 MOBILE UPDATE TO EXISTING WINDOWS PHONE 8.1 DEVICES. 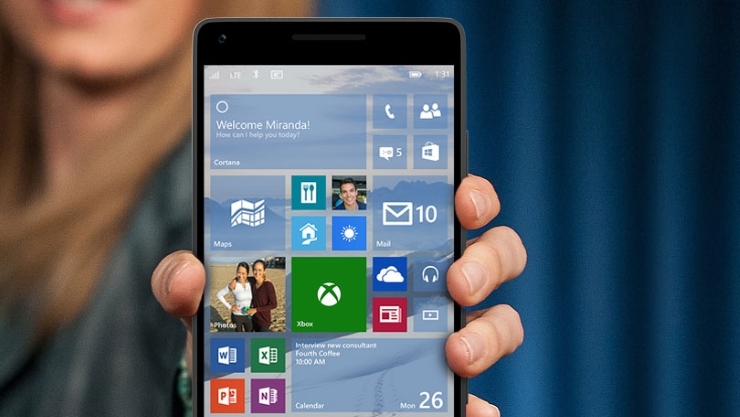 Today, Microsoft roll-out Windows 10 Mobile to select Windows Phone 8.1 devices. There are a lot of great new features in Windows 10 Mobile, like Continuum, Windows Hello and Cortana. This list includes a limited set of Windows Phone 8.1 devices and does not include some devices that are currently running Windows 10 Mobile in the Windows 10 Mobile Insider program. As Windows 10 delivers significant new innovations, many older devices are not able to successfully upgrade without an impact on the customer experience. Our goal is to only offer the Windows 10 upgrade to devices that we are confident can continue to deliver a good customer experience.